Las Vegas restaurants are some of the best in the world. You have booked your airfare, found a great hotel, and purchased tickets to some great shows; how about dinner? On the list of things to do in Las Vegas, picking a great restaurant should be one of them. However, there are so many to choose from, how do you know which one to pick? Wait, what about the famous buffets? And the hotel you are staying at has a restaurant too; so where do you begin? Check out this, Why pay full price when you can get Local Shows & Dining for Half Price! Well, it is good to have a plan. There is a recent list out that features the top ten restaurants of the area. 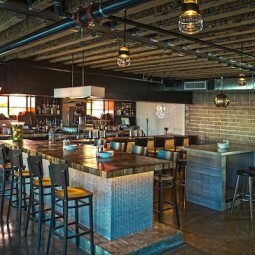 Best of Las Vegas Picks the Best New Restaurant is Carson Kitchen Downtown Sixth St Fremont East. This is the last Kerry Simon restaurant in Las Vegas. 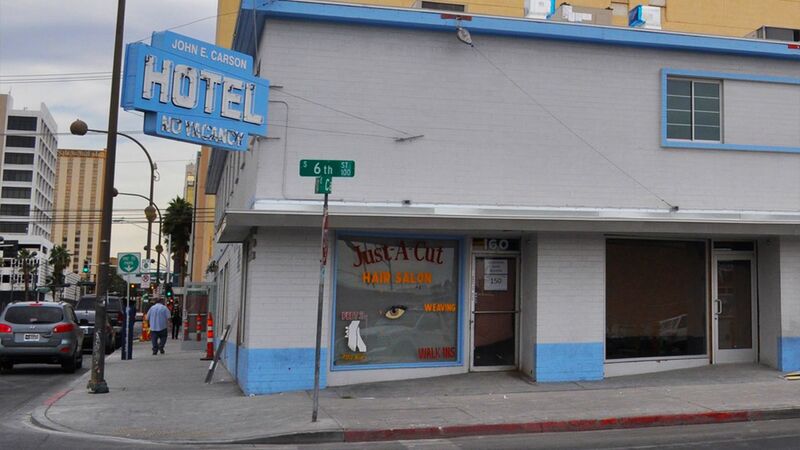 The location of this place was historically the John E Carson hotel which by this picture looks like an old dive. But take a look at what they have done with this place. It now complements the downtown revitalization that is the latest craze. Check out these new pics. Sample menu items include: Baked brie with bacon jam, veal meatballs, mushroom ceviche, wild boar sloppy joe, fried green tomato sliders with lump crab, NY strip, Oxtail risotto, rainbow cauliflower and glazed donut bread pudding to name a few. The top choice for locals on this one is SkinnyFats. They call themselves the best restaurant in the entire Galactic system. They currently have 3 locations in town so surely one is near enough for you to check it out. By their name and the menu, I can see that they have healthy choices and fattening choices so if you don't agree with your date or company on diet, you have two sides of the spectrum. Their menu consists of the following categories: all day breakfast, shareable, flatbreads, tic-tac-o, things in bowls, between the buns, eating gardens and juices and shakes. Personally they don't have wine or beer, so I don't see myself going anytime soon, but they do have a healthy hangover remedy juice shot on the menu. Sample menu items are: cinnamon sugar hawaiian bread french toast with nutella, chili sauce, berries and orange syrup. egg white omelette with chicken breast, avocado and 9 grain toast. cauliflower with buffalo sauce, ahi and spicy slaw, greek italian and what looks like a vegan flatbread, ahi tacos, filet mignon bowl over egg fried rice, burgers, turkey sandwiches and a "veg"which and chicken and steak salads. They also have an extensive juice menu. Sample menu items are: chickpea and lentil hummus, turkey meatballs, tomato bisque, seared ahi, buttermilk fried chicken sandwich, salt and pepper fries, harvest farro risotto, caramelized sea scallops and Durok port chop. The decor and ambiance of this place is beautiful, rustic and american. 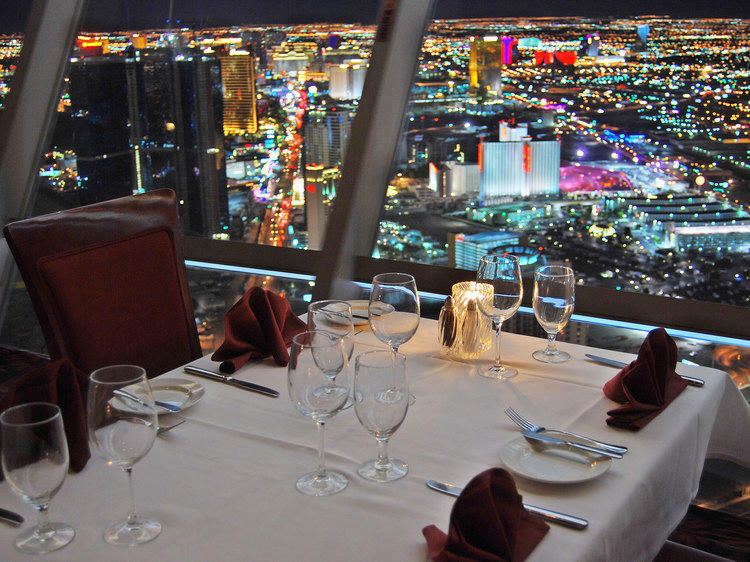 Surprisingly the Top of the World Restaurant at the Stratosphere took second place for Las Vegas Restaurants with a view. What? How can you get a better view than that? Anyway, The locals choice is Giada at The Cromwell for its strip and views of the Bellagio fountains. Hmm, my husband and I went and we didnt see anything but the side street. Photo courtesy of Travel Style GR. Sample Menu items include: fried artichoke with orange hummus, bacon wrapped dates, charred octopus with potato, drunken goat cheese, Berkshire pork loin, mortadella pizza, king crab risotto, swiss chard rolls with brown rice and tofu for the veggie, beef short ribs and of course a dessert example is citrus infused zeppoles. The Las Vegas Locals choice is Giada at the Cromwell. This place also was a winner for best view for having an amazing view of the Bellagio fountains. This restaurant sits on the corner of the building, so if you are there for the winning view, make sure you reserve that side of the restaurant. The Best Italian winner picked by Best of Las Vegas is the Italian American Club on E Sahara Avenue. Talk about making you feel like you traveled back in time. 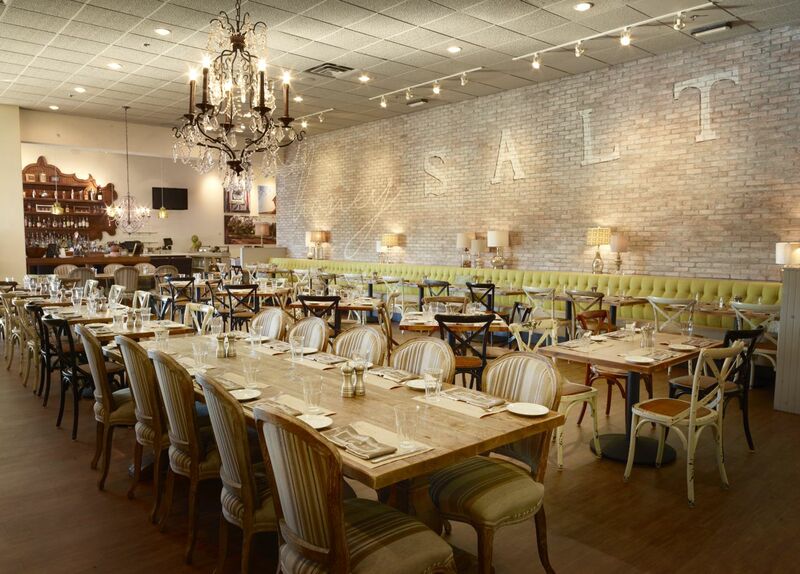 This place gives you the real deal for an old Las Vegas restaurants historical experience. It is newly remodeled with 3 dining rooms, a bar and regular live music. Visit their website for an amazing list of scheduled performers. For your viewing pleasure, here is a pdf of their menu. To top it all off, they actually have a non profit Italian American social club that you can join and might even meet or see a celebrity or two. Check out Hi Scores Bar and Arcade on 4785 Blue Diamond Road 89139 call them at 702.888.1999 I don't have a link because they haven't gone secure yet :)) . They also have a second location on Blue Diamond. Better than bar food menu with some classy dishes, free games and craft beer. What more could you ask for? For best Breakfast, locals favorites are Egg Works and The Egg and I. Each have their own specialty dishes so check out the menus on their websites. They both also have multiple Las Vegas restaurants locations to enjoy. Our most popular locals Indian Food restaurant is Delhi Indian Cuisine. Delhi is located in Central Las Vegas. They serve up a daily lunch buffet as well as many traditional favorites with their own added flair. Choose from almost a dozen Tandoor dishes as well as many vegetarian and vegan options. Where else would you go for the best Chinese Food in Las Vegas? Chinatown of course! Try Harbor Palace in Chinatown Plaza on West Spring Mountain Road. They call themselves a seafood restaurant and their online menu is really hard to read, but here you go. Lindo Michoacan consistently comes out on top for the best next to authentic Mexican food in town. There are so many Mexican restaurants in our hotels and casinos, and in the days of ole, I used to love Macayo's, but they just don't have any decent locations I want to go to anymore. 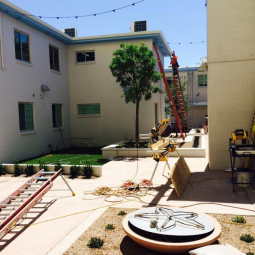 Lindo has sprouted up in many areas of town and the atmosphere makes you feel like you are on vacation. They do have specialty dishes such as chicken marinated for days in Coke A Cola for example. It is definitely our go to place. Clearly this is just a small sampling of featured restaurants all over town. There are many that are worth mentioning, but too many to list. You can break them down by style, price, or location. Your hotel concierge service can also assist you in your decision. Locals always refer to the famous Best of LV Yearly Awards voted on yearly by the locals and posted by the Las Vegas Review Journal. Las Vegas is famous for their buffets, but it is important to note that you may not want to make this your norm; or else you many need to buy a whole new wardrobe. You could enjoy the buffet for breakfast, which will carry you through until dinner. Ceasars Palace Bacchanal Buffet! Expensive but worth it. Voted Las Vegas Most Amazing Buffet. Up to 15 or more daily chef specials in a very upscale presentation. 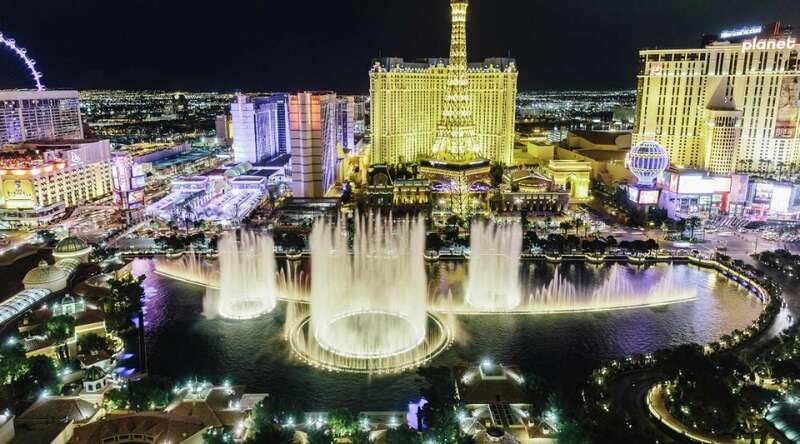 Visit the Directory at Las Vegas Restaurants .com - Find a restaurant in your neighborhood, hotel or find out where to go and what restaurants are the top rated and top booked here! A good tip is to carry water and snacks with you while you are walking the Strip, so you can ward off the hungry feelings. It is cheaper to buy these off the Strip, as on it they are in high demand. This way you are only eating two meals at restaurants; it can get expensive and you will want to save some money for gambling and all the available attractions. 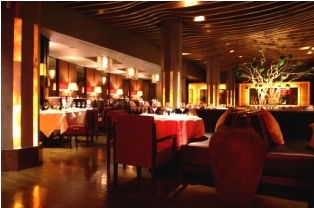 Las Vegas restaurants are some of the most recognized eating establishments around. You will not have trouble deciding to go out to dinner, as much as you will have trouble deciding which Las Vegas restaurants to try. Local Dining Coupons Discounts on restaurants and more. Return to Las Vegas Things to Do from "Las Vegas Restaurants".